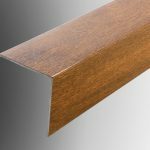 Geoplas offer an extensive range of solid, hollow and flexible UPVC plastic angles. 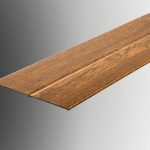 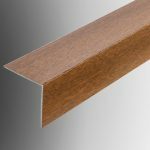 Popular sizes are offered in a range of finishes including white and wood grain foiled. 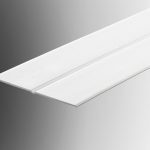 Geoplas plastic angles provide and ideal low maintenance cap over or corning detail solution in the construction, fitting or refurbishment of roofline soffits, windows, conservatories and many more general building applications. 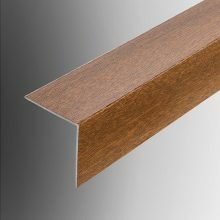 Flexible angles, which are actually rigid UPVC angles with a universal joint, can be used to finish various angled corner details. 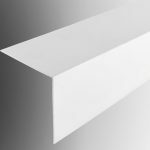 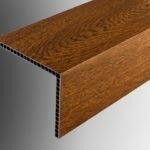 Our hollow angle provides a thicker stronger profile that is more rigid and has better insulation and cold-bridging properties then standard UPVC angles.